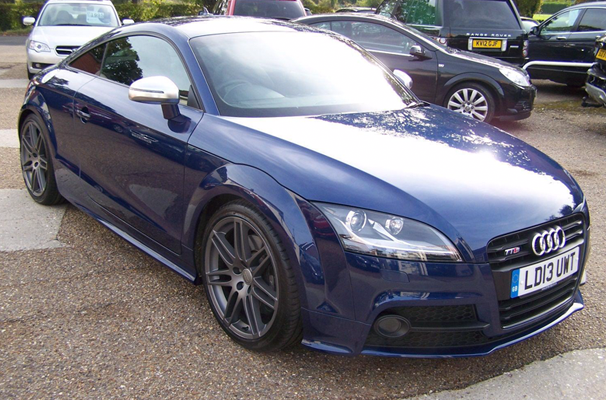 (13) Audi TTS 2.0 TFSI S Tronic Quattro Black Edition in scuba blue. This beautiful car has silk nappa leather interior with TTS embossing and black seats (silver stitching). It has been very much cared for by previous owner with a full service history and in very good condition throughout. It has aluminium exterior mirror housings, automatic headlight adjustment, electric mirrors, front spoiler, headlight washer system, privacy glass, 19 inch alloy wheels, automatic air conditioning, auto dimming rear view mirror, gear shift paddles on steering wheel, ISOFIX, electric seats, heated front seats, cruise control, driver info system, ESP, Bose surround sound system, navigation system and bluetooth technology. 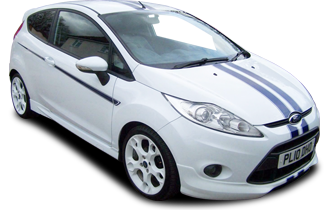 This car also has twin spoke titanium design alloy wheels – get in touch and don’t miss out!! !